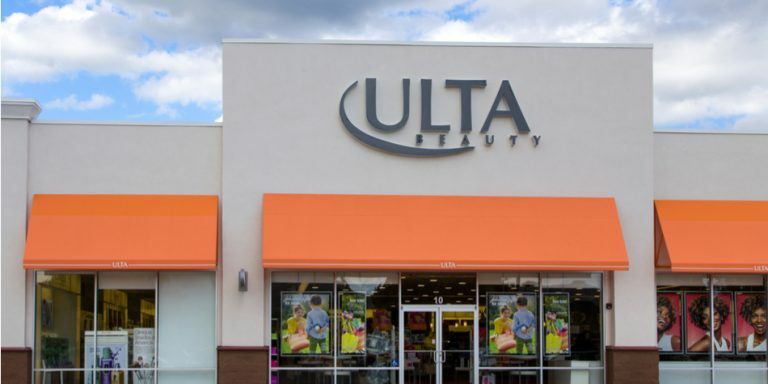 A big rally in Ulta Beauty Inc (NASDAQ:ULTA) has hit a couple of speed bumps in the past week — but it looks like Ulta Beauty stock will come out just fine. First, ULTA initially sold off after first-quarter earnings last week — despite beating analyst estimates. Soft Q2 guidance appeared to be the initial catalyst — but Ulta Beauty stock quickly recovered its losses. Now, Goldman Sachs Group Inc (NYSE:GS) has downgraded ULTA to “neutral” from “buy.” Here, too, investors shrugged off the news: ULTA only dropped 1%. The modest reaction makes some sense. Goldman’s downgrade isn’t as negative as it might appear at first glance. And the bull case for the stock still seems intact. InvestorPlace’s Nicholas Chahine argued that Ulta Beauty stock was a buy coming out of Q1 earnings — and I’m inclined to agree with him. And for the most part, the downgrade is a valuation call. Fassler actually raised his price target on ULTA to $271 from $241 — a figure that still represents almost 7% upside from Tuesday’s close. That’s not to say the note was purely positive. Fassler did note decelerating same-store sales growth. In addition, loyalty sign-ups are slowing as well. Given the high proportion of revenue coming from loyalty members, the correlation shouldn’t be a surprise. Still, this isn’t a note that suggests big downside for Ulta stock — or highlights a risk that investors aren’t seeing. The question comes down to whether Fassler is right on valuation. Fassler’s argument isn’t completely out of left field. ULTA isn’t cheap, particularly by retail standards, trading at nearly 20x forward earnings. That’s a notable premium to other growing specialty retailers, like Tractor Supply Company (NASDAQ:TSCO) at under 17x and Party City Holdco Inc (NYSE:PRTY) at under 8x. And it’s worth pointing out that Goldman isn’t alone. Loop Capital made a similar call in early May, moving to neutral with a $250 price target. Guggenheim was bullish on the stock in April — and set a $260 price target, only a few points above a current $254 price. The Street average now sits at just $259. Ulta Beauty stock, after all, has risen 30% just since early March. And so it’s fair to wonder if perhaps the stock has run far enough — or even too far. But there’s still a case that there’s more upside ahead. First off, ULTA’s move isn’t that huge in the context of massive gains in retail stocks over the past few months. At least 21 such stocks have more than doubled from their 52-week lows, including big names like American Eagle Outfitters (NYSE:AEO) and Abercrombie & Fitch Co. (NYSE:ANF). Secondly, Ulta Beauty stock is hardly that expensive. Guidance suggests something close to $11 in earnings-per-share this year (consensus is at $10.94). That’s about a 23x earnings multiple — which is high for retail. But Ulta Beauty also is growing earnings mid-teens this year — and likely double-digits next year, at least. The reason most other retailers are trading at double-digit multiples — or single-digit, in the case of rival Sally Beauty Holdings, Inc. (NYSE:SBH) — is that they’re not growing at all, let alone at that rate. And I’m not sure Ulta’s growth is ending any time soon. Same-store sales grew 8%, and are guided to a 6-8% increase this year. E-commerce growth is torrid. The company claims to have only 4% market share in a very fragmented industry — providing plenty of room for future expansion. It’s true that loyalty growth is slowing – but that’s in part because the company already had nearly 28 million members at the end of fiscal 2017. The reason ULTA trades at a premium to other retail stocks is because it deserves to. It’s the type of retail story that simply can’t be found anymore. There’s still years of growth ahead, in an industry that has proven to be surprisingly resilient to recessions and customer changes. That’s a business worth paying up for — even after the big run of late. Article printed from InvestorPlace Media, https://investorplace.com/2018/06/no-need-to-panic-downgrade-of-ulta-beauty-inc-ulta-stock/.